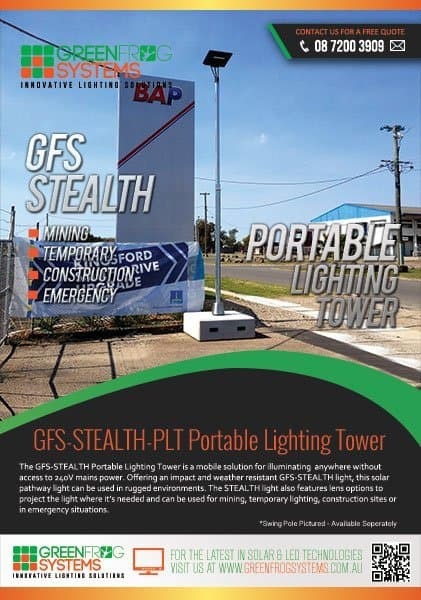 GFS-STEALTH-PLT Portable Lighting Tower is a mobile lighting solutions for illuminating anywhere without access to 240v mains power. 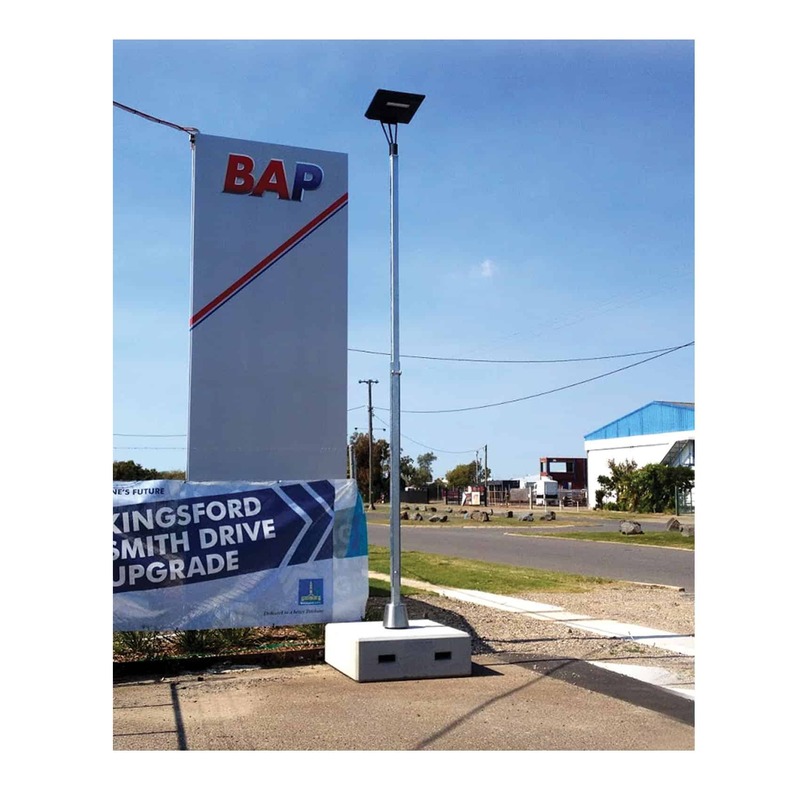 Offering an impact and weather resistant GFS-STEALTH light, this solar pathway light can be used in rugged environments. The STEALTH light also features lens options to project the light where it’s needed and can be used for mining, temporary lighting, construction sites or in emergency situations.